Brazil’ s top state funded research foundation is to start producing low cost combined rubella-measles vaccines for export to developing countries, particularly to Africa. A $1m partnership with the Bill and Melinda Gates foundation is going to support the venture, Brasilian Health Minister Alexandre Padilha announced on Monday at a medical science conference. The country has set its plan to invest in biochemical expertise to join China and India as producer of vaccines for export which are more affordable than the pharmaceutical industry ones. Low cost Rubella – Measles vaccines are now produced just by India. The Brazilian version is expected to cost around $0.50 per dose and it is to hit the market by 2017, at a rate of 30m doses produced a year, reducing the current chronic shortage. Brazil’s Oswaldo Cruz Foundation started producing combined vaccines in 2003 for the country’ s immunization program but the high prices made them unaffordable to developing countries. The Melinda and Bill Gates foundation investment will allow to lower the price and bring further investments in the area which will fuel an export – targeted expansion. For this reason, the government plans to build a brand new plant and create new jobs. The Gates foundation will now sponsor clinical trials and might contribute further, a spokesman said. 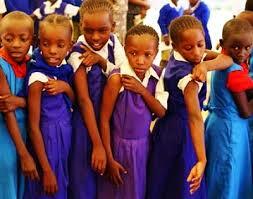 Measles and rubella are virus-caused diseases which kills thousands of people a year, especially children. They are particularly dangerous during pregnancy, causing the foetus development retards or even death.”More than 150 000 people die every year all over the world, victims of measles. The production of this vaccine will allow us to access the global market. We’ll start with this vaccine which will open us the doors to other kinds of vaccines produced here in the country” Minister Padilha stated at the meeting, explaining the plan to further investments. Posted in Headlines, Health, International. Bookmark the permalink.